This post is a long one! 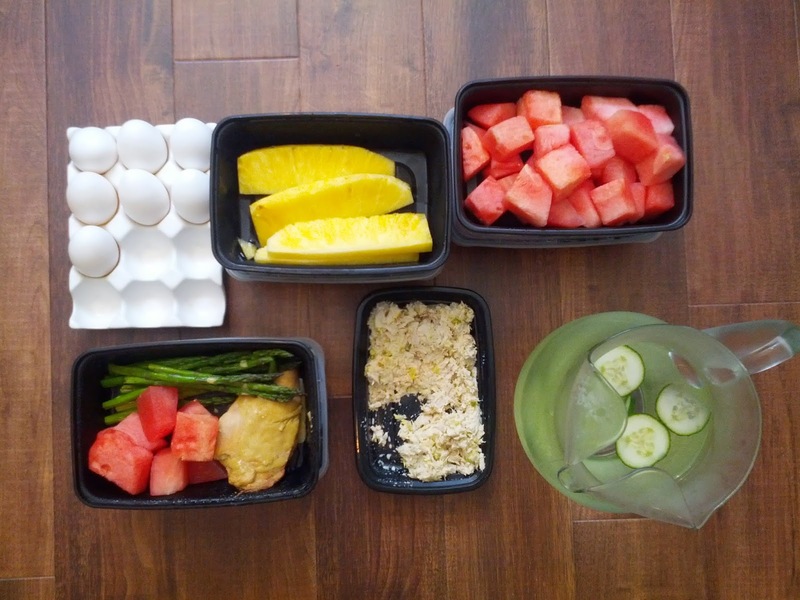 There are several recipes and tips I use for prepping meals for the week. I've switched things up a bit this month and haven't been following a meal-by-meal plan so much as I've been following a weekly use-it-up type plan. I started doing some big-haul prepping at the beginning of each week, either on Saturday or Sunday after church, so that we'd have some healthy foods ready to grab instead of reaching for snacky, high-carb foods. The use-it-up method goes nicely with the clean-out-the-fridge method, and the no-waste method. 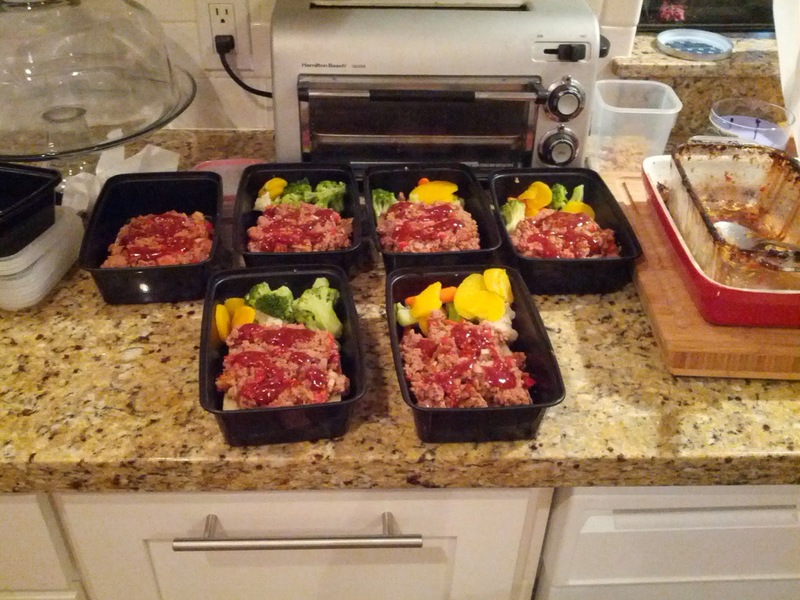 I've been packing pre-made, high protein, low carb meals for lunches, first to keep us from eating out (which is bad for health and bank accounts), second to keep us on the right track with cutting grains by about 60%. In the picture, the bottom left is one week's meals, stacked about three high (you can't tell that they're stacked). I made maple dijon chicken in the crockpot one day by throwing six frozen chicken breasts in with a maple-dijon sauce. Place frozen chicken breasts in the crockpot, top with maple dijon sauce, and set! It's so easy. We have this all the time. I set it on the eight hour setting and planned to take it out in six hours. For some reason the chicken's always more tender if you set it on low for a long time, then take it out before the timer goes off. While the chicken was cooking, I quick-roasted some asparagus. I bought a huge bag of it at Costco and knew it would be perfect to cook in a large batch. Chop off the woody ends of the asparagus. Rinse, then toss with garlic olive oil and some salt and pepper. Roast for about 15 minutes at 375 F.
When it was all finished, I assembled the containers and stuck in the fridge. We ate two of the chicken breasts for dinner, plus some asparagus, and that left us with four lunches. In the past, I've made a double-batch of meatloaf for dinner (meatloaf is great because you can sneak in a bunch of different veggies and then flavor it however you want). Squish together all ingredients in a large mixing bowl. I keep these disposable plastic gloves under my sink and use them allllll the time. The longer and more thoroughly you squish, the more tender and incorporated it will be. Shape into a loaf and place in a loaf pan. Top with a small amount of barbeque sauce. Bake at 375 for 1 hour or until cooked through. Ten or fifteen minutes before it's done, top with more sauce. Here's my recipe for homemade barbeque sauce. All ingredients are added to taste. We ate some meatloaf for dinner, then I used the rest to make some open-faced sandwiches on torta rolls I get from Costco. Half the bread, all the flavor! It sounds weird, but yesterday's meatloaf sandwiches are meant to be eaten cold. It's super delicious. I topped each open face sandwich with a little more sauce (because it's so amazing), then steamed a big bag of veggies and divided it up between containers. Easy and ready to grab in the morning! I made a list of meals I can prep in bulk ahead of time and use as lunches throughout the week. Tuna salad with cucumber "crackers"
Dice a whole watermelon or a pineapple. Slice some oranges. When it's ready to go like that, it's easier to make a healthy smoothie in the morning, snack on fruit throughout the day, and use for meals. If your fruit is starting to get too ripe (I don't like over-ripe fruit, but I also don't like to waste it), there are a couple different things you can make out of it. 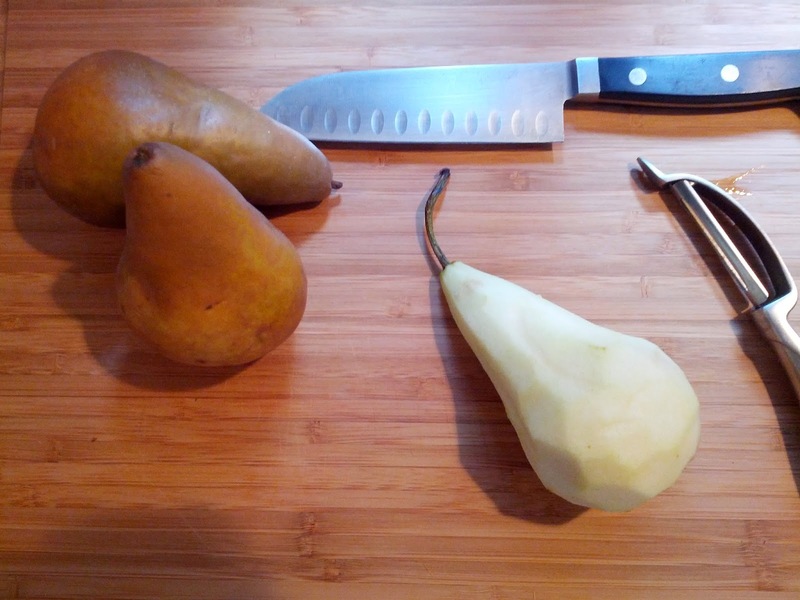 Make some baby food with pears, apples, mango, etc., by boiling them for ten minutes or until the starches are broken down, then blend them up in your blender or with an immersion blender. Mash your overripe bananas for baby food, too. No need to cook. If you don't have a baby, or don't want to use your bananas for baby food, peel them, stick them in a baggie and freeze them. They make a great addition to morning smoothies, and they give it the coldness and thickness that ice gives without watering it down. Finally, if you have a juicer (and this goes for veggies, too), juice them! Here are some more recipes for using up fruit. Slice some cucumberand have it ready in a container to throw on sandwiches, into smoothies, or snack on. Henry loves to gum a slice of cucumber. This herb cream cheese recipe is amazing on sandwiches or toast with cucumber. Peel and slice some carrots, bell peppers, and celery for munching. If it's prepped, you're more likely to eat it for two reasons: it's ready for you and you don't have to put any more work into it, and you already put work into it and don't want to waste it. Wash and chop your heads of romaine lettuce. Dry the lettuce with a paper towel, then store in sealed mason jars. It lasts for a lot longer, and you'll eat more salads! Pull the kale leaves off the woody stalk and store in a ziplock bag with a paper towel (to absorb moisture and keep the leaves crisp). Prep a few salads at the beginning of the week so they're ready to grab for lunches. In a container, layer romaine lettuce or greens, almonds, dried cranberries, granola, sliced veggies (and even fruit), cheese, and anything else that sounds yummy! 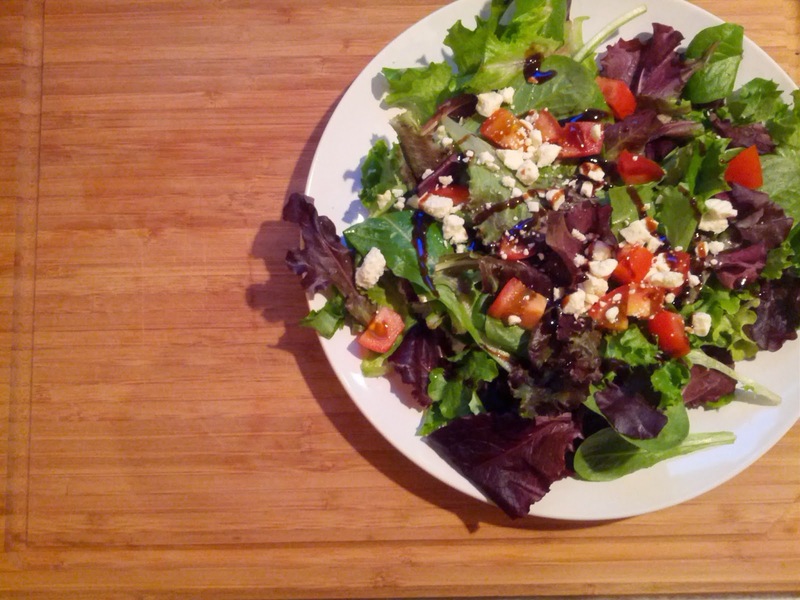 Pack your dressing separately, and toss just before eating so your salad doesn't wilt and get soggy. 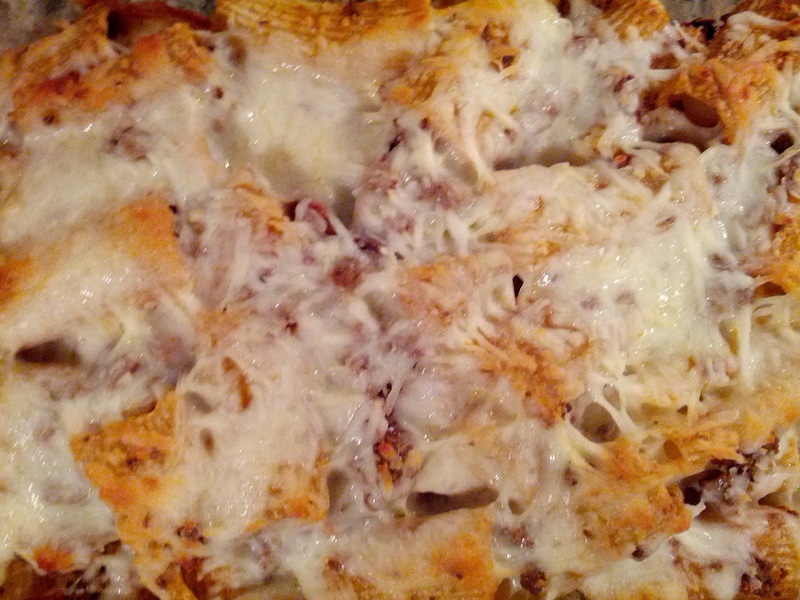 These are also great on hand for last-minute dinner ideas. Hardboiled eggs are a total go-to breakfast item for me. It's SO HARD not to eat cereal when you're on a low-carb diet, and nobody really wants to put effort into their breakfast when they wake up. I've even prepped some deviled eggs and eaten them in the morning with three or four slices of bacon (get the microwavable kind from Costco) or a green smoothie. Boil a bunch of eggs at the beginning of the week, then they're ready for you at breakfast. They are also a good addition to the packaged lunches, or for a snack. Henry likes to eat the crumbled yolk, too, so it can also be considered baby food! I firmly believe that food storage doesn't end up doing you a whole lot of good unless you cycle through it, which is why I try to use at least a few cans up per week. One easy way to do that, and also to have some food ready for lunches, is to use up several cans of tuna or chicken and make a tuna or chicken salad. Add mayonnaise, relish, and shredded cheese to taste. Also really good with chopped cilantro, a little bit of red onion, and even those inner stalks of celery that sometimes have leaves on them. They're more tender, and even the leaves go well all mixed in. Since we've cut out processed grains and sugars, bread and crackers are out, so I like to eat my tuna salad on cucumber discs (or "crackers," haha). Kids like it, too. Here's also a recipe for fresh salmon salad that keeps well in the fridge if you make it in advance, which is amazing with salads, on sandwiches or crackers, or by itself. It's summer now, so I'm not really expecting to make a lot of soups for a while, but for reference, they are a good way to use up some of your canned goods, fridge veggies, and food storage items like rice, beans, and grains. Here are some meals you can make in large batches and freeze for later. I made a big pitcher of cucumber water just to have a refreshing beverage on hand that wasn't soda, and it was really tasty! You can add almost anything and it's really good. Oranges, lemon, lime, cucumber, strawberries, blueberries, frozen mango, the list goes on. You can even turn it into a superfood vehicle by adding in chia seeds! Stir them up and let them sit. Keep stirring every twenty minutes or so, until they are suspended. You can also make this easy chia seed pudding ahead of time. Okay, lady, you're my idol. Teach me your ways after this baby pops outta me.